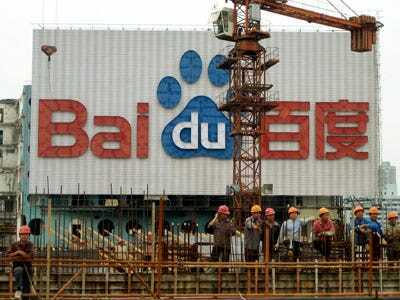 Goldman Sachs analyst James Mitchell is giving Baidu a huge price price target hike this morning. His six month target is now $675 up from $575. James thinks the Google plan to redirect traffic to google.com.hk will “at best be slow” and “at worst unavailable.” This will push users to a rival, most likely Baidu. He thinks Baidu picks up 33%-75% of Google.cn’s traffic, resulting in Baidu capturing 50% of Google’s Chinese revenues.